Are you a staff member of one of the Co-ordinated or Associated Organisations? Have you ever asked yourself the question: What is the amount of pension that I will get when I retire? 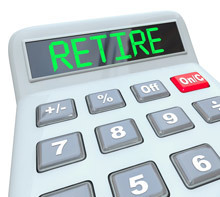 ISRP developed a tool which can simulate your future pension. This tool is updated every year with the new salary scales and allowances for each organisation and country after they are officially approved by the Council of the organisation in question. We encourage you to use this tool, so we can concentrate on preparing manual pension estimates for truly exceptional cases. So, if you are interested in a glimpse the future, please access your organisation’s pension portal by entering your login and password into the login window above.